Some concepts completed in Illustrator. I really like using Illustrator, it's all like "whoooo" and I'm like "yeeeeah!". 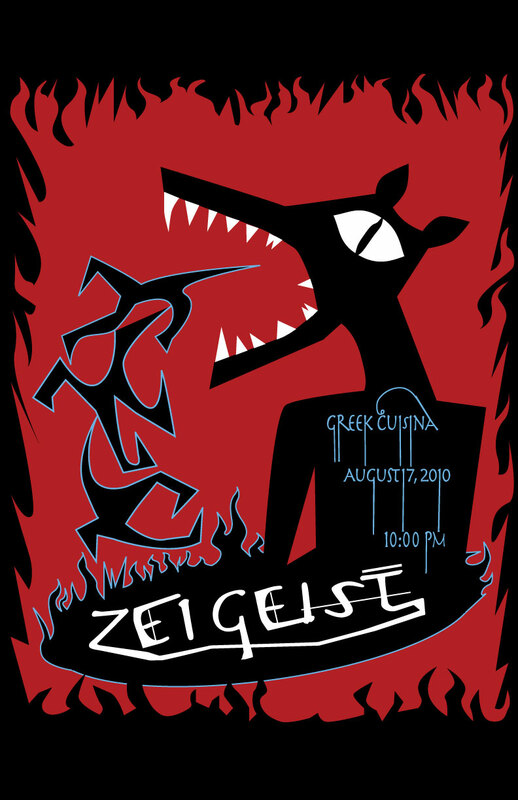 ^A band poster for one of my favorite bands, Zeigeist. Unfortunately they split up after making one cd. D: Fun-fact: The Greek Cuisina is defunct too. 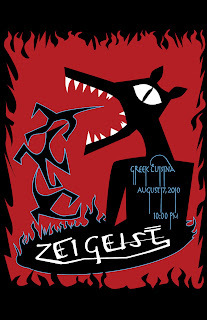 I set Zeigest in there as an ode to great things that no longer exist. I had my 21st b-day there. Now I am working on an energy drink can/box design. It's called Rapid Stab and it is hip-hop and graffiti based. RAPIDSTABRAPIDSTAB sorry, I like saying it.